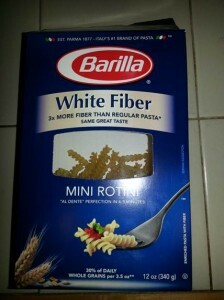 Barilla has a new product called White Fiber pasta that they say “looks and tastes like our traditional semolina pasta yet offers the benefits of 3x the fiber than the same size serving of traditional pasta”. A 2-ounce (56 gram) serving is a sensible serving size for most of us, and this amount contains 6 grams of fiber (regular pasta has 2 grams), which is exactly what most whole grain pastas provide. 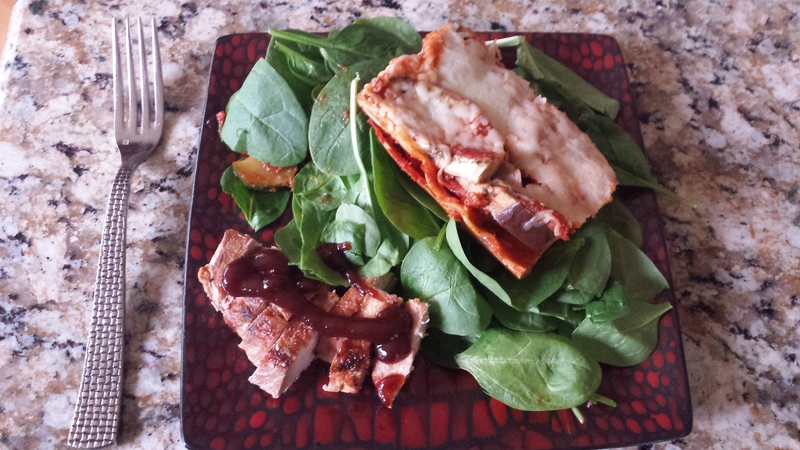 Each serving also has 7 grams of protein, the same amount as whole grain pasta. 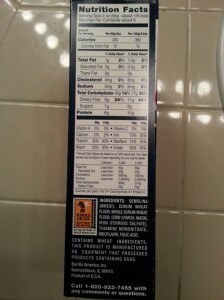 How can Barilla make a high-fiber pasta that tastes like regular pasta? And what is “White Fiber”? Research of RS2 resistant starches from high amylose corn indicates benefits in intestinal/colonic health as well as metabolic benefits in glycemic management, satiety and hunger. From the Hi-maize website: Most starches are digested and absorbed into the body through the small intestine, but some resist digestion and pass through to the large intestine where they act like dietary fiber to improve digestive health. This type of starch is called “Resistant Starch”. A wealth of clinical studies over 20 years has proven the health benefits of natural resistant starch from high amylose corn.